Spring is the time for new life and new charms at Cindy Gimbrone Beads. Melanie spreads her wings and designs a new pair of carvings to be made into pendants. Andrew shares his trip to Denver for the Rocky Mountain Bead Society's Bead Bazaar. Do you ever find beads in your own collection that you forgot you had? School is in session, or at least, it will be when you sign up for one of these free copper clay e-courses. 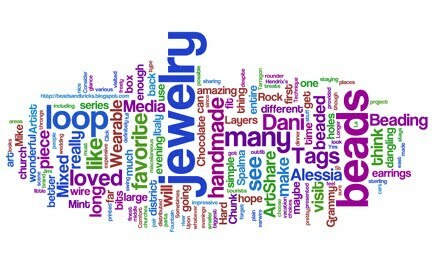 Art Bead Scene's newest member opens her heart and shares how she feels about the Art Bead Scene. Maybe you feel the same?